Ultra responsive for rapid fire gaming. 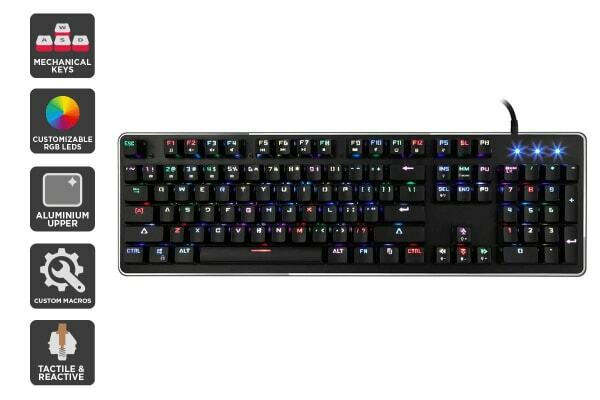 The Kogan Full RGB Mechanical Keyboard (Brown Switch) is a must-have for both amateur and serious gamers, giving you match-winning fully responsive mechanical keys without hurting the wallet. Outemu Brown switches give you light tactile feedback that’s ultra quiet, so you know exactly when the keypress is registering without the annoying click clacking on the keys. 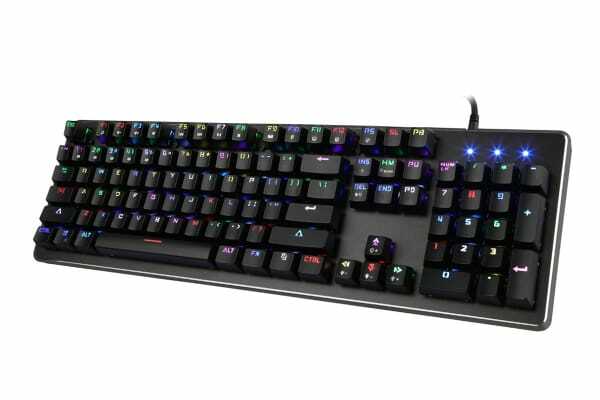 Navigate the keyboard with ease thanks to stylish backlit keys, brilliantly illuminating each key to help you respond quicker to enemy strikes and coding feeds. The anti-ghosting and n-key rollover technology means that the keyboard can flawlessly handle pressing multiple keys at once, delivering a truly smooth gaming experience as you duel it out with friends, or write code at a furious rate. 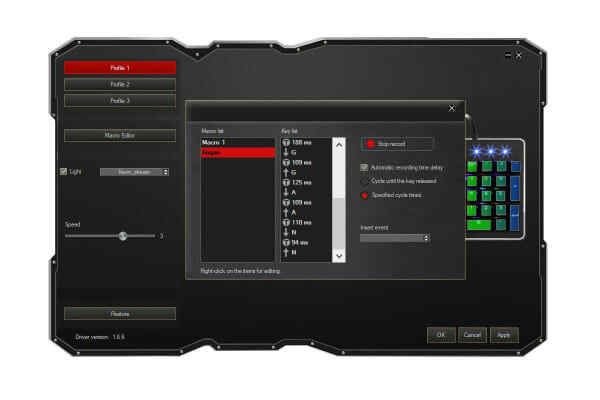 With vivid dynamic RGB lighting control, sophisticated macro programming and full system lighting synchronisation, you can set your preferred settings to maximise efficiency at work and dominate enemies with ease in the gaming world. Storage of up to 5 customisable profiles allows immediate access to different settings, independent of external software.